Pod2G: Quanta Lands Orders to Manufacture Larger iPad? Quanta has reportedly landed orders to manufacture a larger 12.9-inch iPad, reports DigiTimes. This corroborates an earlier report from the Chinese United Daily News. Quanta is expected to encounter several challenges in terms of industrial design and assembly when making the large-size iPad. And since the size is not the mainstream specification, order volumes are expected to be limited, the sources said. The sources pointed out that Apple's large-size iPad will mainly target the education and enterprise markets. 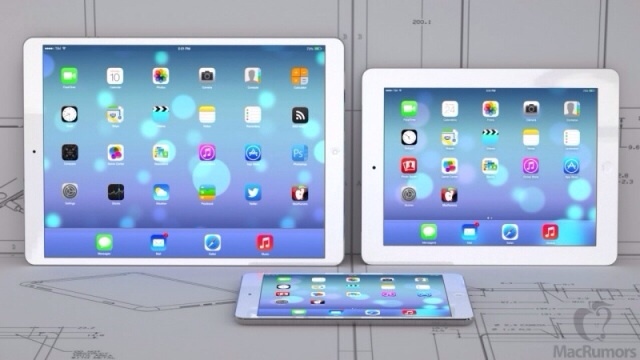 The larger iPad is reportedly set to go into production in the second half of 2014. DigiTimes also says that Inventec, Quanta and Foxconn Electronics (Hon Hai Precision Industry) are currently competing over Apple's iWatch orders. As for the iWatch, component makers have already started the pilot production, but because of low yields, mass production is rumored to have been postponed from the first quarter of 2014 to the second.